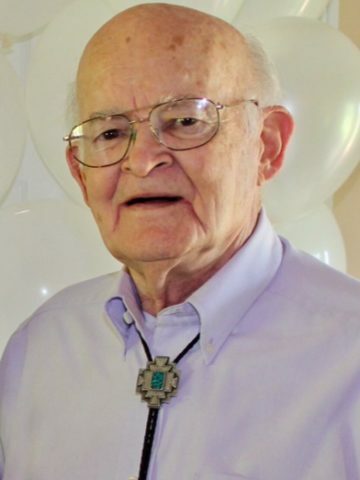 J A Bill Graham age 91 of Springfield and formally from Donelson, passed away on April 2, 2018 in Westmoreland, Tennessee. He was born on April 3, 1926 to the late Emmett and Annie Shobert Graham in Noble, Oklahoma. Mr. Graham was involved in most church activities, he was a member for 22 years at Main Street Church of Christ and was a member and Elder for 30 years at Pennington Bend Church of Christ in Donelson. In his spare time, he was very artistic enjoying painting, gardening and even was a accomplished musician. He will forever be remembered as a loving husband, dad, grandfather, great grandfather, brother and uncle. In addition to his parents, Mr. Graham is preceded in death by beloved wife of 67 years Odene Cooper Graham; daughter, Melva Gayle Davis-Mays; and brothers, Murle Graham, Ralph Graham, and Buddy Graham. He is survived by his daughters, Nicki Anne (Harold Gene) Wilson of Cottontown, TN and Brenda Sue (Dan) McVey of Clyde, TX; grandchildren, David (JoFriday) Davis, III, Nicole (Rob) Whitacre, Darla (Lynch) Owen, Joshua (Julie) Mays, Andrew (Neilly) Mays, Kyle (Elizabeth) McVey, and Tessa McVey; 16 great-grandchildren and sister, Anna Lois (Damon) Reed. A Life Celebration will be held at 1pm on Wednesday, April 4, 2018 at Springfield Funeral Home with Brother Joe Rushing, Brother Barry Thornberry, and Brother James Parker officiating. Burial will follow at Springfield Memorial Gardens with Brother Rob Whitacre officiating and David Davis, III, Joshua Mays, Andrew Mays, Jared Whitacre, Lynch Owen, Jon Paul Duncan serving as pallbearers. Visitation with the family will be on Tuesday, April 3rd from 6-8pm. I remember Mr. Bill from Kroger Pharmacy and I always enjoyed seeing and talking with him. So sorry for your lost he will be missed. I am so sorry to hear of Mr. Graham passing. He was my neighbor and he lived across the street from my mom when she was living but I didn’t hear about it until much later. He was a fine man!